A wild-card inclusion for Bangladesh’s maiden tour of England in 2005, Mushfiqur Rahim was just 16 when he was selected for that daunting trip – two Tests in May, followed by six ODIs against England and Australia – even though he hadn’t been named in the preliminary squad of 20. Mushfiqur was principally selected as an understudy to the ever-present wicketkeeper, Khaled Mashud, but his inclusion was further evidence of Bangladesh’s determination to build for a better future. He had done well on an A-team tour of Zimbabwe earlier in 2005, scoring a century in the first Test at Bulawayo, and also enjoyed some success in England the previous year with the Under-19s, making 88 in the second Test at Taunton. He showed more evidence of grit with the full team, with a maiden first-class half-century to soften the pain of defeat against Sussex, followed by a career-best 115 against Northamptonshire. That earned him a call-up – as a batsman – to become the youngest player to appear in a Test match at Lord’s. He was one of only three players to reach double figures in a disappointing first innings, but a twisted ankle kept him out of the second Test. 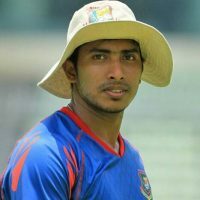 After captaining Bangladesh’s Under-19s to fifth place in the Youth World Cup in February 2006, he also featured in Bogra’s inaugural Test, against Sri Lanka the following month, but could make little of the spin of Murali and Malinga Bandara. He remained on the sidelines for the next few months but was recalled for the final two ODIs against Zimbabwe at home in December. He scored his maiden half-century at Harare in February 2007 and was picked as the first-choice wicketkeeper, ahead of Khaled Mashud, for the World Cup in the West Indies. 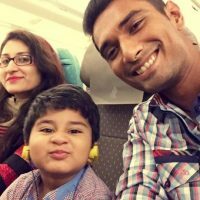 He shows sound technique in his glovework and is Bangladesh’s first-choice wicketkeeper after Dhiman Ghosh’s departure to the ICL. A stodgy lower-order batsman, Mushfiqur has grown into one of the better players of spin in the line-up. After a slow start to his Test career, he found form in the 2008-09 season with stubborn knocks under pressure. However, he has under-performed as a batsman in ODIs.